How far is the east from the west? Since these two anchors point in polar opposite directions for all eternity, I would say that there is no greater way to express the farthest distance than east from west. I love how God has used this analogy to illustrate the promise of what He has done with our sin. He has removed every speck of our sin from us as far as the east is from the west! They could not have been removed any further than that! Many of us struggle with the continual, ever present awareness of our sinful condition. Somehow we think that our sin consciousness is actually pleasing to God. That somehow we will stay in a posture of humility by remembering how wretched we are. I believe that the very opposite is true! We are justified by our faith in the finished work of Jesus Christ and we know by Hebrews 11:6 that it is our faith that pleases God. 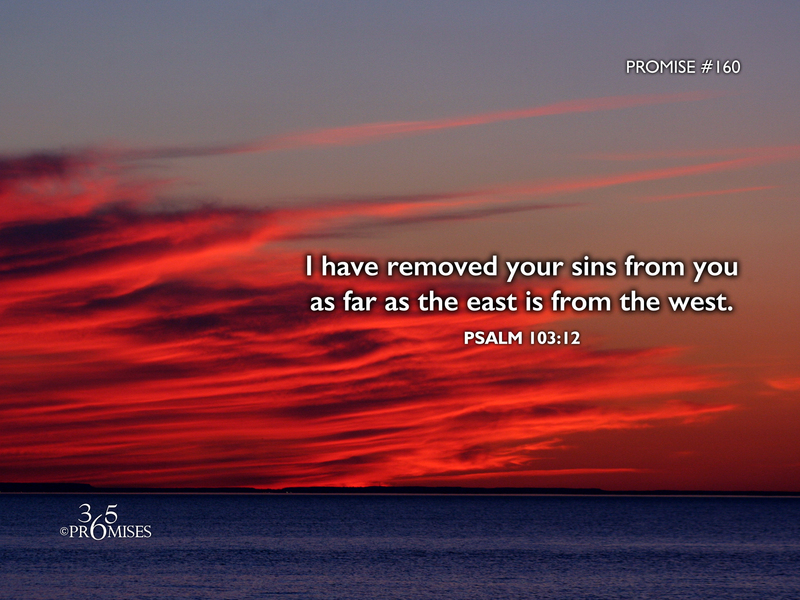 So next time the enemy of your soul wants to remind you of all your past failures, declare this promise aloud... God has removed all my sins from me as far as the east is from the west!